What is a zombie church? According to Tyler Edwards it is a church that appears to be alive, but is really spiritually dead. It’s a church that goes through the motions of what church is expected to be like, but the heart is gone. What causes a church to become a zombie church? Christ is no longer the center and focus of the church. They may speak of Jesus and even teach about Him, but they don’t try to live like Him. Instead, the zombie church focuses on rituals, events, study groups, etc. None of these things are bad in and of themselves, but when they replace Jesus as the focus of the church you are left with a zombie church. 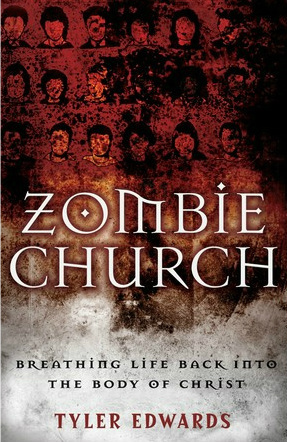 Zombie Church is Tyler Edwards’ first book, and he’s done a good job. This is going to be a tough read for a lot of people. It’s going to push a lot of people out of their comfort zones, but it’s an important message. Edwards has a love for cheesy zombie movies, and he makes many comparisons between the mindless zombies in these movies and the American church of today. He reminds us that as followers of Jesus we are to “love the Lord your God with all your heart and with all your soul and with all your mind and with all your strength” (Mark 12:30). The book can be a bit repetitive at times as Edwards drives his point home, but the last two chapters are worth reading the entire book. 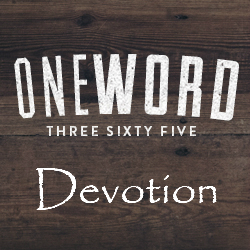 Those last two chapters focus on living a life of love as Jesus did. It’s a lesson we all need. I received a complimentary copy of this book for review purposes from LitFuse. If you tweet LitFuse will capture your entry when you use @litfuse. If you share it on Facebook or your blog, just email LitFuse and let them know (info@litfusegroup.com). Easy. This was book 36 in my 52 Books in 52 Weeks challenge. I was very blessed to read your review. One of my primary concerns when writing this book was that I didnt want to be another critic complaining about the church and not offering any solutions for improving it. My fear in offering a solution was that it would be satisfactory after addressing the issue, so that you enjoyed the last few chapters really encourages me that God was faithful to help wrap up the book and present a clear take home message with some practical solutions. Thank you for taking the time to comment here… that means a lot. You make excellent points throughout the book, but those last couple of chapters really made an impact on me. I think a lot of people who read your book will take it to heart. Thanks again for visiting. God bless!